SKU: 855675005221. Categories: Face, New, SavingGrace. Activate and customize your very own holistic exfoliant. Expose Facial Exfoliant + Mask offers a healthy, holistic alternative to hydroxyl acids and is much more effective for long-term use. Full strength, multitasking powder requires your choice of activation liquid. Expose promotes a brighter complexion while firming the skin and reducing the appearance of fine lines, wrinkles and hyper pigmentation. Activation liquid is based on desires results. See direction tab for suggestions. Caution: Not intended for children or those with overly sensitive skin. This product could cause mild, temporary stinging and minor irritation. If severe irritation occurs, remove product, flush with cool water, and call physician. Avoid contact with eyes. If product gets into eyes, immediately rinse well with water. Sunburn Alert: This product contains alpha and beta hydroxy acids that may increase your skin’s sensitivity to the sun. Be sure to use sunscreen after using this product. Adult Hormonal Acne - This Works!! The last several years I have been battling adult hormonal acne. I've had a lot of small flesh colored pumps all along my jawline & forehead but once a month when my skin became oilier they became much larger & sometimes red. I was also constantly fighting large pores & blackheads on my nose & chin. I went to the Dermatologist and was told this is very normal and easily fixed by taking a pill daily. I really didn't want to take medication so I began the search for something natural. 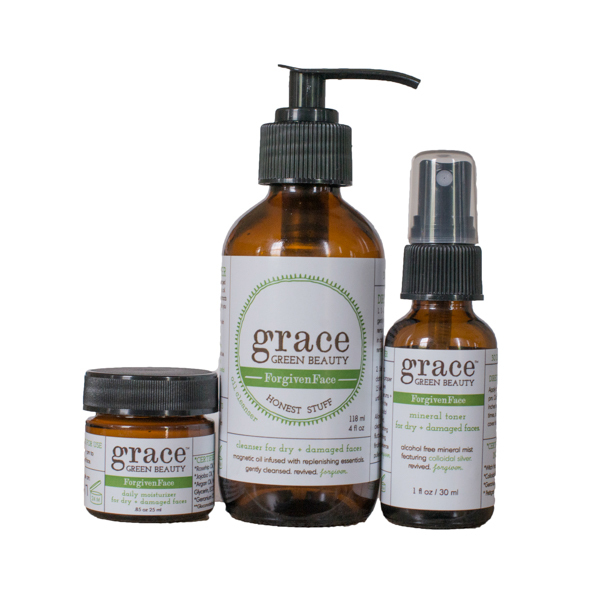 My sister in-law recommended GGB and told me how much it had improved her skin so I began using the Peaceful Face oil cleansing kit April 2018 and it took several months for much change to happen to my skin but eventually it worked!! I went to dinner with friends one night and someone commented on my skin and wanted to know what I was using; she is now using GGB and loves it! I recently added the ReAct Exfoliant to my routine 3 - 4 times a week in the shower and it has helped smooth out my skin and give it a wonderful glow. I do not normally leave reviews on products but GGB has amazed me and I have recently started my daughter on it and can already tell it's helping her as well. Thank You!!! Refreshing! Makes your skin feel brand new! Not harsh like over the counter scrubs and exfolients. Use it religiously I use this every morning as a cleanser/exfoliant and then make a mask with a couple times a week. My face has never felt so smooth and strong even as I go into summertime. It's an amazing product. Favorite This is my absolute favorite! I love a good exfoliant and this is it! this leaves my skin feeling amazing after a long day - my skin feels so refreshed and clean after I use this. Amazing Results Wow...I don't even know where to begin. I just started using the Grace products and I am in love!!! After just the first use, "I mixed mine with plain 0 fat Greek yogurt", I could not believe how amazing my face looked the next morning. It was so clear & smooth and brite. I can't wait to mix it with other suggested things and compare the results to see which way I like it best. I am very impressed!! 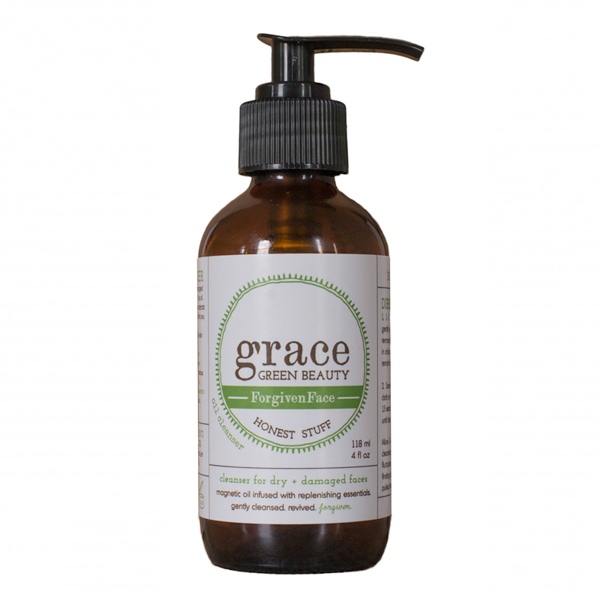 I used the whole line of Grace products for quite some time before this product came out. Although I was so happy with the results, I felt like something was missing. Once I tried this, I figured out that this is exactly what my skin needed! I only use it about twice a week, but that's all I need. It makes my skin feel so soft and my pores smaller. It also lasts a long time. I would highly recommend adding this product to your regimen, you will be glad you did! Outstanding product I cannot begin to explain how much I love this product. This is the best exfoliator I have ever used. It leaves my skin feeling soft and smooth. The product size lasts a long time and it is very easy to mix and use. I highly recommend adding this to your beauty routine. AMAZING RESULTS! Finally!! 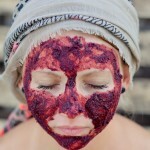 An exfoliant that really exfoliates! I have tried so many facial exfoliants and I always feel like I need more grit. ReAct exfoliant has enough power to truly buff away dead skin leaving my face feeling smooth and my pores visibly smaller. I love the way I can customize this product depending on the time of year! In the summer, I often add lemon juice to help with my sun spots! In the winter, I enjoy creamy milk to activate. Thank you Grace Green Beauty for an amazing product! 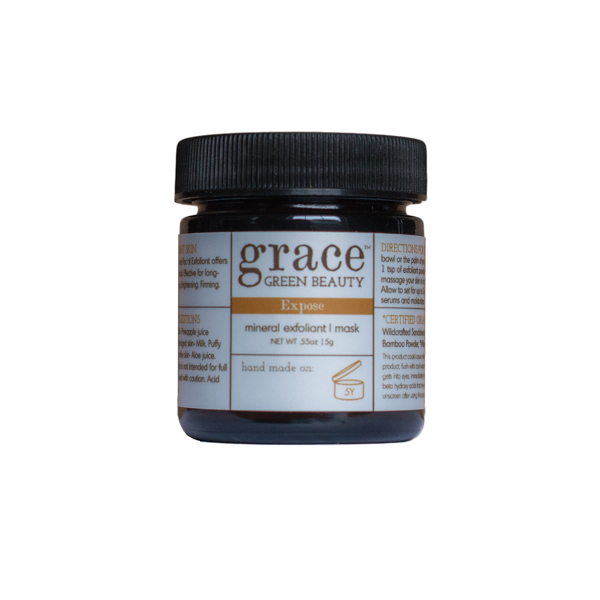 Cleanse your face with one of our Grace cleansers. 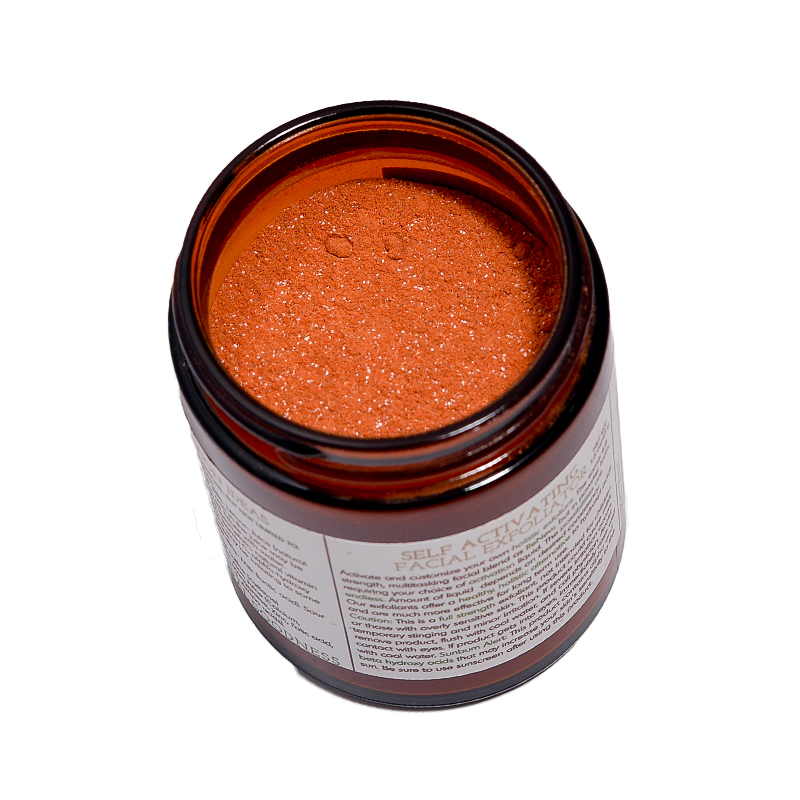 Mix equal parts exfoliating powder and activation liquid. Gently massage your skin in circular movements. After thoroughly applying, rinse face with lukewarm water. 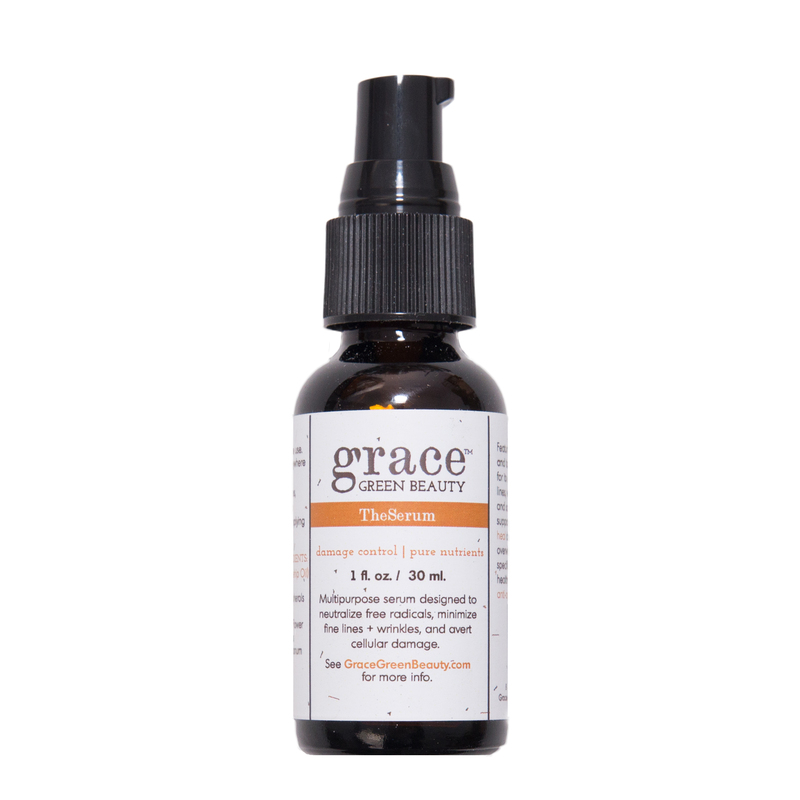 Follow up with your favorite Grace moisturizer. We suggest using this product in the shower because it can be messy. 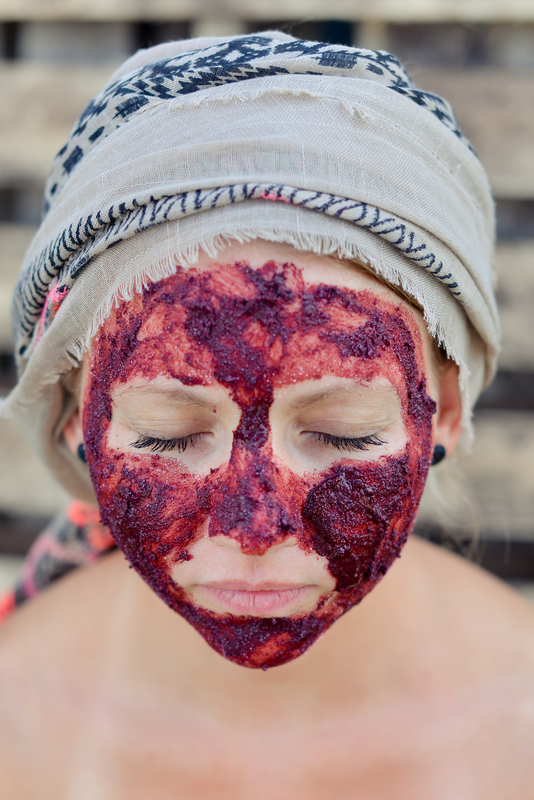 To double as a face mask, allow ReAct to dry before rinsing. Dull Skin- Pineapple Juice (bromelain, natural vitamin A, vitamin B1, vitamin B6, vitamin C, alpha-hydroxy acid) The acids in the juice may be irritating to some people, dilute with water. Sagging and damaged skin– Milk (lactic acid). Sour milk or yogurt is best. Puffy, lifeless skin– Cold coffee (caffeine). Inflamed, sensitive skin– Aloe Juice- Calcium, Sodium, Iron, Potassium, Manganese, Zinc, Folic acid, Vitamins A, B1, B2, B6, C, E, Amino acids. Spot treat dark spots- Lemon Juice (natural Alpha Hydroxy Acid). This application is not intended for full face exfoliation. Acid in juice may be irritating. Take caution.